Banks are engaged in a race toward digitization, as we discussed in a previous article in our series on digital customer onboarding. As you might expect, the race is one with many hurdles: rollout time, budget, infrastructure changes, regulation—the challenges can be daunting. We’re here to tell you that it doesn’t have to be that difficult. 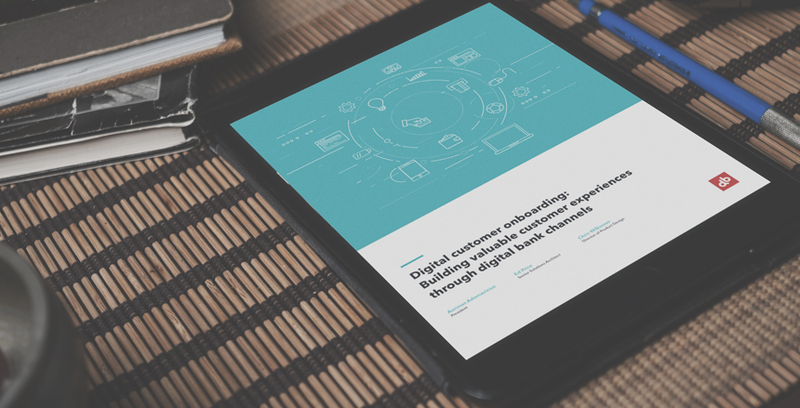 In Part II of our white paper, Digital customer onboarding: Building valuable customer experiences through digital bank channels, we detail our design process and provide a road map to get you started. The methodology we use is designed to withstand and tolerate failure. Our process is simple: build, measure, learn, repeat. This formula enables teams to fail quickly, inexpensively, and learn along the way. In Part II, we outline several methods you can use to achieve rapid prototyping in short, focused, two-week sprints. We’ll also provide you with downloadable templates meant to get you started. Download the white paper and access a persona template, lean canvas template and story map template, all useful tools when going through the creative process with your team. Let's get started on your digital transformation.